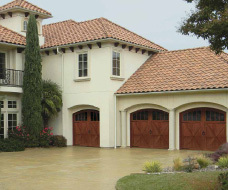 If you are looking for Garage Doors West Palm Beach then trust the name Overhead Door! Overhead Doors are among the most dependable in the industry, so you can feel good knowing that we’ll be there — day or night, winter or summer. For added peace of mind, our residential garage doors have long stood the test of time, proving to be durable and long lasting. 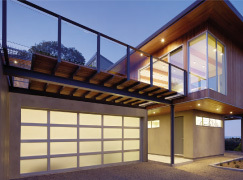 The reliability of your garage door will help you stay on schedule in the morning. The last thing a homeowner needs is to be leaving for work and not be able to remove their car from the garage. Its beauty will greet you at the end of a busy workday, opening a convenient, comfortable passage to your home. And through the night, the security of your door will help you rest assured that your family is safe. 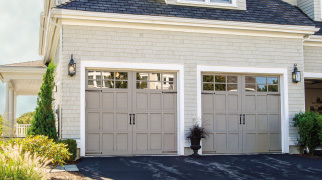 The following info will guide you in choosing the best residential garage doors in West Palm Beach that meets your needs and wants. Features a vinyl skin, which minimizes maintenance, dents and rust.